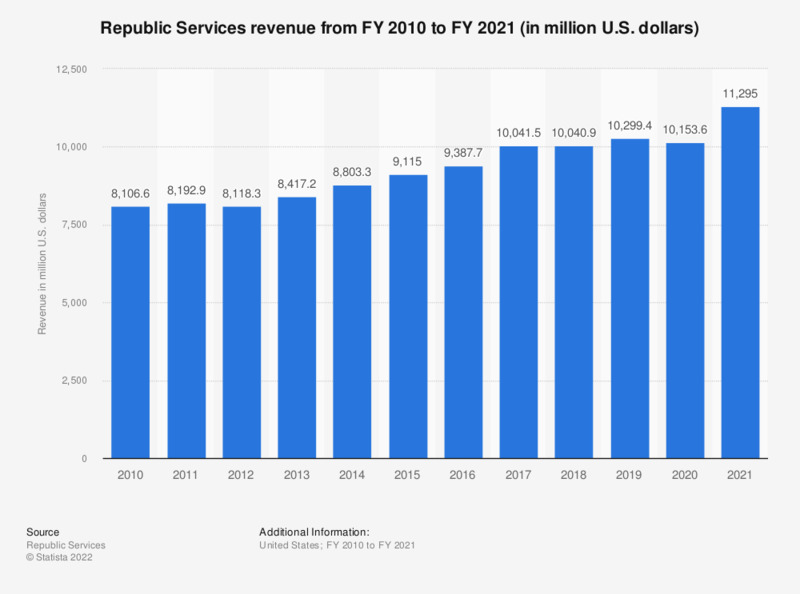 This statistic represents Republic Services' revenue between the fiscal year of 2010 and the fiscal year of 2018. In the fiscal year of 2018, the Arizona-based company with headquarters in Phoenix generated a revenue of around ten billion U.S. dollars. Figures are compiled from several editions of the annual report. For the years ended December 31. Everything On "Waste Management Inc." in One Document: Edited and Divided into Handy Chapters. Including Detailed References. Statistics on "Waste Management Inc."